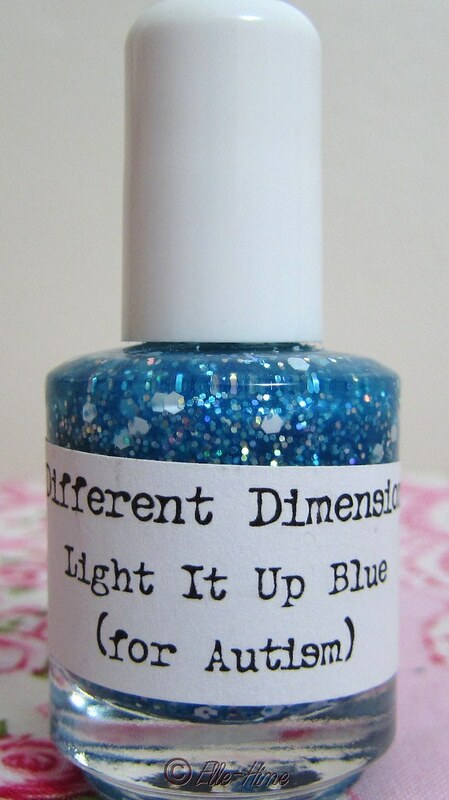 Today I'm reviewing a fun glow-in-the-dark polish by Different Dimension named Light It Up Blue. 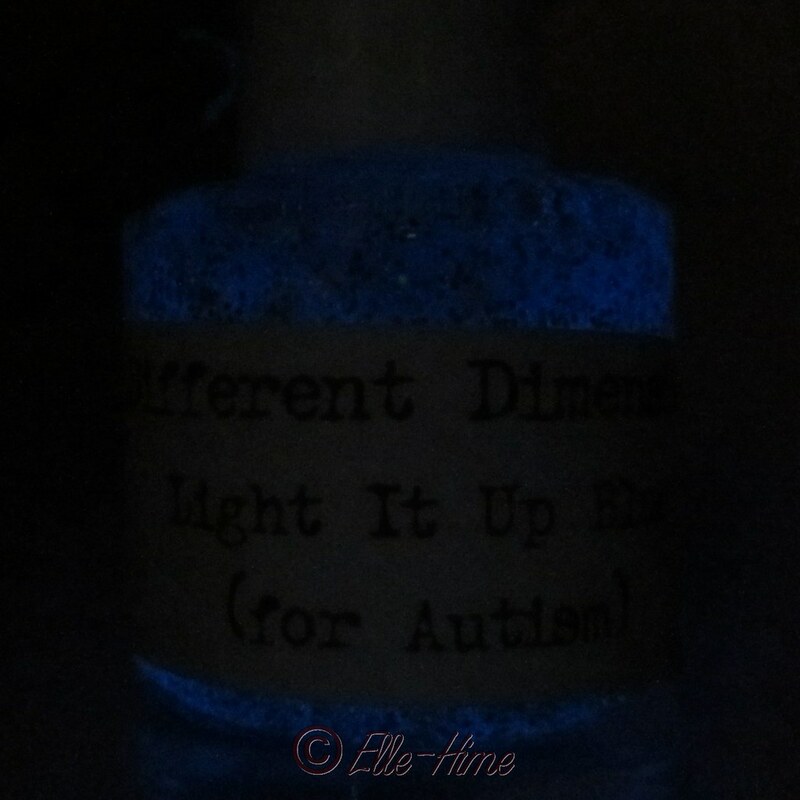 This polish was made to help raise money & awareness for Autism, which is something that affects my family personally. It really does light up blue, that's for sure! I put Light It Up Blue over a white creme, and China Glaze Caribbean Blue (a blue polish with shimmer flecks) on my accent nails. I used two coats of Light It Up Blue except for my ring and pinky; those nails got 3 coats to see if it would make difference in glow power. I ended up taking a bunch of pictures and even tried my hand at pictures of this polish in the dark to show all it's glowing glory! 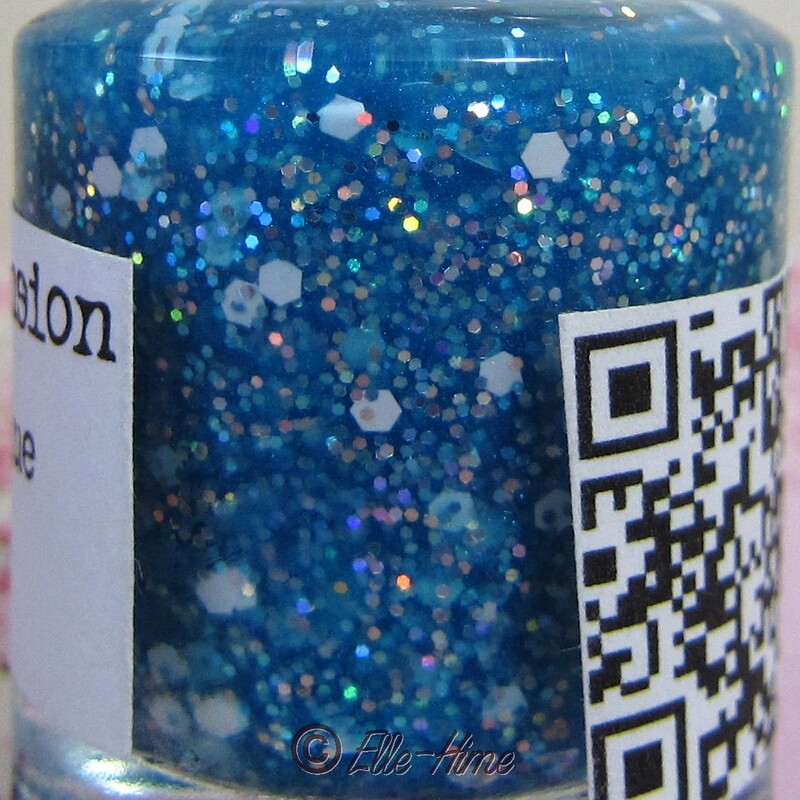 In the bottle this nail polish has plentiful glitter floating in a blue jelly. There are small blue and silver holographic glitters and large white hexes. The glitter stays suspended very well and I didn't have to dig around to pick up the larger white glitter. Application was easy. The polish is a bit thick but it spreads well on the nail. I finished my manicure with a top coat which smoothed the glitters out nicely. I think this polish strikes a really nice balance with being a "fun/novelty" color but not overly busy. It is a wearable polish that just happens to light up! You can see the jelly color of the polish on the nails that had a white base. It's very pretty in my opinion, light but bright. I think it fits in the sky blue family. White polish is supposed to make glow-in-the-dark polishes glow at their brightest, however the next time I wear it I'll try pairing it to a pale blue base instead. My reason for this is the fact that I don't wrap my tips with glitter polishes, so having white peek out on my free edge annoyed me! Just a personal observation. That odd crescent to the left of the bottle handle is my pinky! I was so happy with how brightly blue-white this polish glows. It's very pretty! In pitch black (aka: under the covers that night) the glow on these was just insane. (It made me giddy and I spent quite some time wriggling my fingers around.) The base color under the polish didn't seen to effect things much, and I couldn't see there being an advantage over using 3 coats rather than 2. Hasty pictures taken in a closet do almost nothing to show what wearing Light It Up Blue is like. 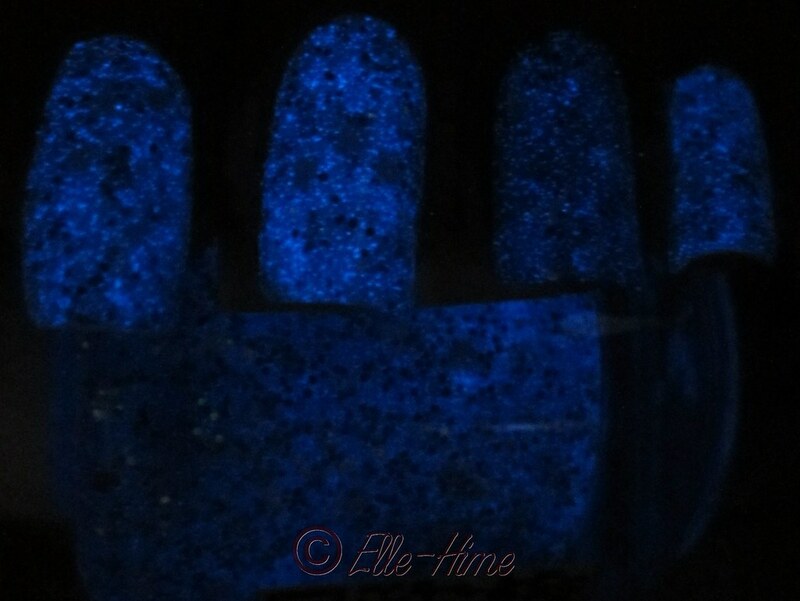 For anyone unfamiliar with glow-in-the-dark nail polish it is as simple as "charging" your nails under a light source, stepping into the dark and enjoying. I was curious to see what the lasting power was like. Most g-i-t-d objects lose their glow after a short time. Not this nail polish! I woke up a few times in the night while wearing this and each time my nails were still glowing. It was fainter, but they were glowing. My estimate is 6 hours of glow time after a regular day's amount of light exposure. Impressive. In case I didn't say it enough: beautiful polish! really fun to wear! awesome! I approve! I definitely recommend it, and it's nice to know that part of the proceeds are going to a charitable cause. You can pick up a bottle here! Would you wear this nail polish? 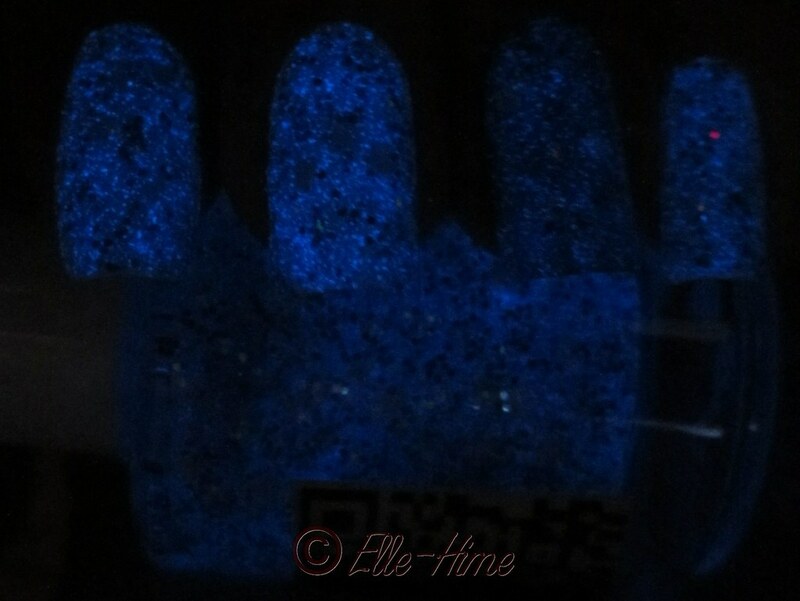 Do you own any glow-in-the-dark polishes? fear the source of funds and also the management of one's loan etc. cash advance you must also think about utilizing a strong it doesn't consider to your credit rating.